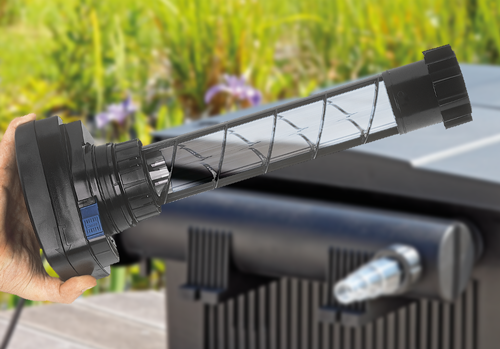 Quartz Sleeves protect the pond UV bulb. If a crack or chip appears, replace to ensure long service life of your UVC. OASE Bitron and Vitronic UV Sleeves. Replacement OASE Quartz Glass Sleeves to fit OASE UV clarifiers Bitron & Vitronic and OASE UV filters including Filtral UVC, FiltoClear, BioPress, BioSmart and FiltoMatic CWS. Genuine high quality OASE spare parts, all Quartz Glass Sleeves are supplied with rubber O-Ring. Click through any of the OASE Quartz Sleeves to view product suitability.